Tripterium T50 is a tokenized, closed-end index fund (CEF), which passively tracks the top fifty cryptocurrency assets by market capitalisation, in order to deliver healthy returns. The fund has a Venture Capital Feeder Fund, which will invest in expertly-vetted early stage blockchain technology companies that are seeking to undertake an Initial Coin Offering (ICO), therefore benefiting from the ICO returns. TRIPTERIUM 50 is offering something similar to the cryptocurrency investors. 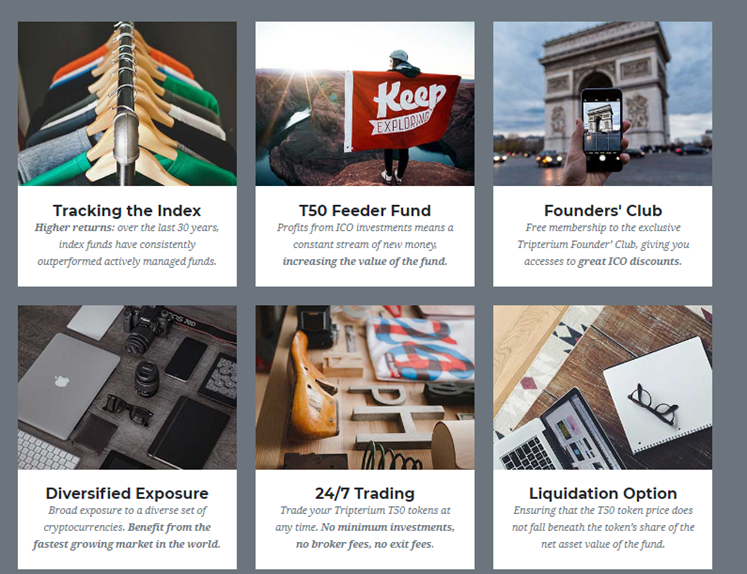 They are close end index fund similar to the many traditional index funds. With the rise is cryptocurrency tokens, it will be a new approach towards investing. By tracking the top 50 tokens in the market, they will assure investors of a healthy return. There are several advantages to investing in the fund, such as there are no fees for advice, brokerage, and free founder membership. Providing something unique in the cryptocurrency market so that the confidence of the investors in the market can be renewed is the only mission of the platform. TRIPTERIUM believe that blockchain technology is the future and their platform is based on it. Another unique offer made by the team is a cryptocurrency venture capital fund. Under this feature, they will be investing in the early stage startups working in the blockchain space. There are various requirements that the startups have to meet for being considered for the funding under this feature of the platform. Fulfilling the needs of the market as well as creating applications that have long-term value is part of their plan. Liquidity: Tripterium T50 tokens are based on the ERC20 token standard that is secure, can be easily stored in any Ethereum wallet, and can be easily bought or sold. The ERC20 standard is supported by all the top cryptocurrency exchanges. providing a price floor for the T50 token, ensuring that the T50 token does not fall beneath the token’s share of the net asset value of the fund. Free coins from hard fork: a cryptocurrency hard fork is when a single cryptocurrency splits in two. 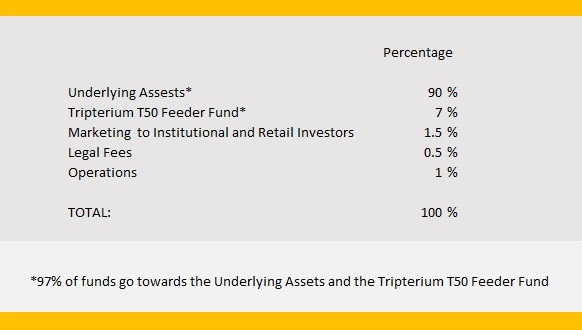 The value of the free coins will be put back into the Tripterium T50 index fund, increasing the net asset value of the fund. 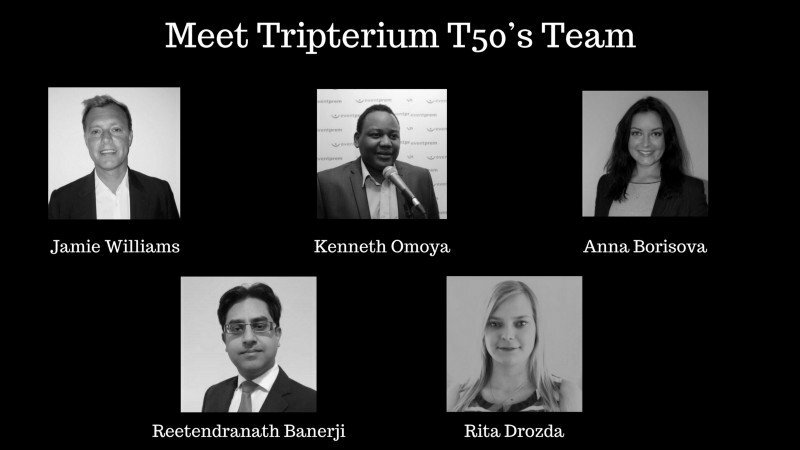 Institutional marketing: Tripterium T50 will be marketed to institutional investors, therefore increasing the T50 token price premium. Tripterium Venture Capital Fund: consistently injecting new money into the Tripterium T50 indexFund. Higher returns: index funds have consistently outperformed the average managed fund. 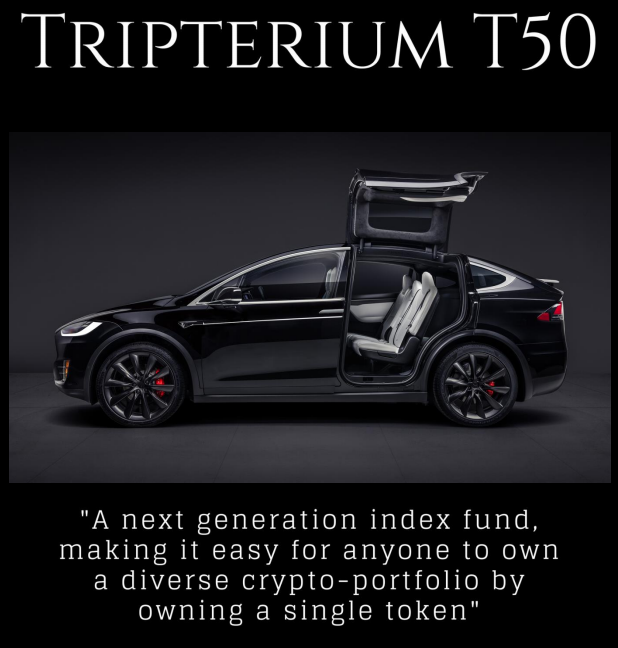 The Tripterium T50 token is an Ethereum ERC20 widespread token that represents the holder’s possession in the fund.The cost of the T50 token is continually subsidized by the Net Asset Value of the fund.A liquidation alternative that may be exercised via the smart settlement,ensures a minimum value for every T50 token based totally on its proportion of the NAV.